Blog Home > Writing Tips > Style vs. Content: What is More Important for the Essay? Style vs. Content: What is More Important for the Essay? When you read an essay accomplished by your group mate, you can easily say whether the project is strong or weak. Nonetheless, giving the right answer on why the paper is solid or why it fails to comply with your demands is a pretty tough task. So, what is more important for an academic essay – juicy style or high quality content? 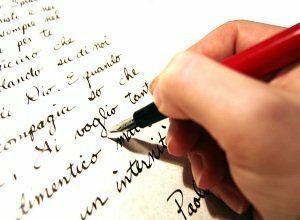 To answer the question one should follow the list of all the qualities that make any writing readable and strong. A perfectly focused assignment speaks exclusively about one key topic, which is known as thesis and never blurs it up with any irrelevant content. When it’s about the short essays, usually one can state the main topic by a simple statement at the beginning of the project (thesis statement). In any case, the essay must be built only on the basis of a single idea. A well-developed paper is the one that you provide together with solid evidence. Depending on the kind of the assignment, this evidence can be a part of personal flashbacks, facts, reasons, details and the other arguments. The author of the essay should remember a very simple rule – a top notch essay never states anything to be true without a proper back up. If you’re a good writer, you should tailor your project only towards the needs of your target readers. To speak more simply, a good essay author picks the tone that never talks down or insults in any way the target audience. Besides, one should research and compose the essay that will be easily comprehended by the readers. All the unfamiliar facts and details should be decodes in a flash! Solid paper should be properly organized into several paragraphs. The author must dedicate every paragraph to a single viewpoint, which should be concluded by logical transitions. A good and skillful essayist makes use of transitions in order to link the essay paragraphs into a logical sequence. A solid and well-researched essay demonstrates correct punctuation, perfect grammar, spelling and syntax skills. When it’s normal for the students to make mistakes in the class, the essay content should include 0% of errors. To make a successful project one should know how to conduct research in order to find the most reliable information to support each argument provided within the text. To say more, the essay author should be aware of how to properly cite the information correctly. Although all the principles mentioned before are important for first-class essay writing, they’re not equally important in every case. Each essay writing assignment is usually attached with its instructions and principles that should be followed by the author.